Coup rumors in China and India, and a Chinese economic slowdown feature in our weekly roundup of the news you might have missed this week in Asia. Lu Xiaoqing and Conor Savoy of the Center for International and Strategic Studies have coauthored a study looking at the development assistance strategies of the United States and China, highlighting the possibility of conflict between the two countries, but also the opportunities for collaboration on international development. "Understandably, international development as a source of cooperation may not be a priority for Beijing and Washington," they write. "However, it does represent an area that requires a low level of investment and could yield beneficial gains for both countries. The United States and China already discuss development at a high level and there has been some limited cooperation at the country level, most notably in a joint health assessment in Liberia. China may have its Great Firewall aimed at filtering out “harmful” content on the Internet, but the Ministry of Industry and Information Technology has still announced plans to increase speed and lower prices for Internet users in order to promote economic development. Still, the ministry might need to get its own house in order first – international hacking group Anonymous launched a cyber attack on Chinese government websites, which the ministry is still struggling to restore to normal. But perhaps China should be more concerned with its physical rather than cyber infrastructure: a section of pavement collapsed in Beijing’s Xicheng district, sending a 27-year-old woman plunging into near boiling water, leaving her with serious burns. The forced relocation of nomadic Tibetan herders, meanwhile, returned to public attention this week, following the recent spate of self-immolations, and it’s unclear how much longer rising resentment and tension in the region can be kept in check. Speaking of keeping in check, dissident artist Ai Weiwei set up four live webcams in protest over his house arrest and surveillance, which he says is politically motivated. The Chinese government wasn’t amused, and swiftly ordered him to remove the cameras. In a sign of improving relations, Pakistan has announced that President Asif Ali Zardari will be visiting India on April 8, the first head of state visit since 2005. The delegation, which will largely be made up of Zardari’s family, is being presented as part of a low key visit, ostensibly to visit a Sufi Muslim shrine. Interestingly, improved diplomatic ties come at a time when the domestic situation in India is looking turbulent. Indian Army Chief has already upset the government by claiming that the country’s armed forces are unfit for war. But the country also faces an ongoing threat from Maoist rebels; the state government in Orissa announced a prisoner swap to secure the release of Italian Paolo Bosusco. In other local news, an Indian couple were arrested for locking up their underage maid while on holiday, leaving her with almost no food and on the verge of starvation. A septuagenarian in Orissa, in contrast, has chosen self-imposed hunger to protest the establishment of liquor outlets in his state. (Compiled by Calvin Wong, Editorial Assistant). As Iran’s nuclear crisis shows few signs of being resolved anytime soon, U.S. Secretary of State Hillary Clinton has highlighted another possible dealing with Iran’s growing nuclear and ballistic missile capabilities: missile defense. Writing in The Diplomat this week, though, Patrick Seale questions the reasoning behind such a move. “Clinton’s missile shield proposal might be good for U.S defense contractors, but would seem to have little local relevance.” And, of course, Russia has made clear its unease over any U.S. missile shield plan. 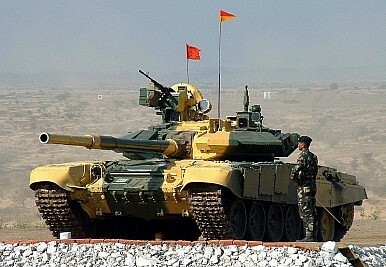 The Indian Decade’s Rajeev Sharma notes rumors this week in India’s media that the country’s military was contemplating a coup following the unauthorized movement of two units toward the capital. The rumors are “fables of a sick mind,” Indian Army Chief V.K. Singh assured the country. But India isn’t the only country that has faced coup rumors this week: China’s main military newspaper told the armed forces to ignore them and prepare for “an ideological struggle.” Soldiers should instead “not be disturbed by noise, not be affected by rumors, and not be drawn by undercurrents, and ensure that at all times and under all circumstances the military absolutely obeys the command of the party central leadership, the central military commission and Chairman Hu,” The Guardian noted. (Compiled by Harry Kazianis, Assistant Editor). The next few weeks will be critical for China, say local economists. Can Beijing ease a slowdown that many fret is too rapid? A strong official PMI (Purchasing Managers’ Index) this week offered some cause for hope, but an early estimate of GDP growth for the first quarter of 2012 (8.4 percent) suggests the economy is at its lowest ebb since the dark days of early 2009. South Korea foresees improving economic prospects, thanks to rising domestic demand and moderating overseas concerns.